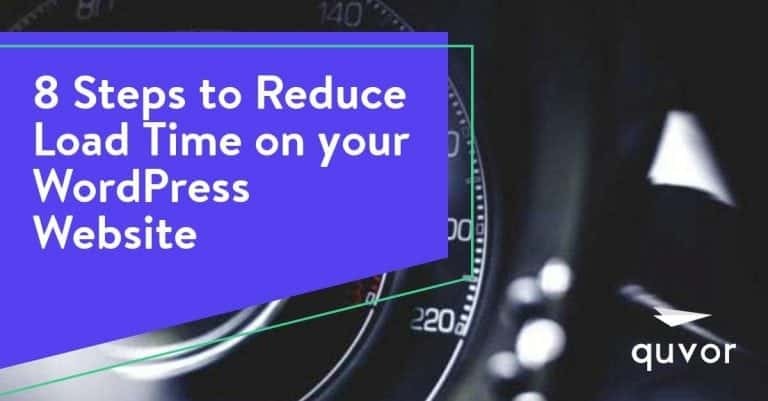 Increase conversions by improving your website speed. Why should you improve your website speed? Website speed has direct impact on your revenue. Google has indicated speed to be a ranking factor. 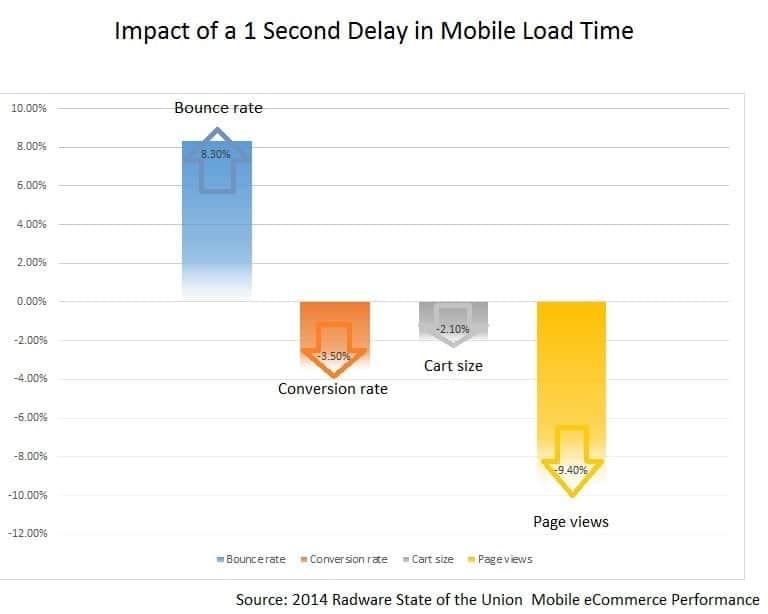 47% of customers expect a website to load in 2 seconds or less. 73% of mobile Internet visitors say that they’ve encountered a website that was too slow to load. Most website optimization services use plugins to speed up WordPress, neglecting the root cause of sluggish load times. 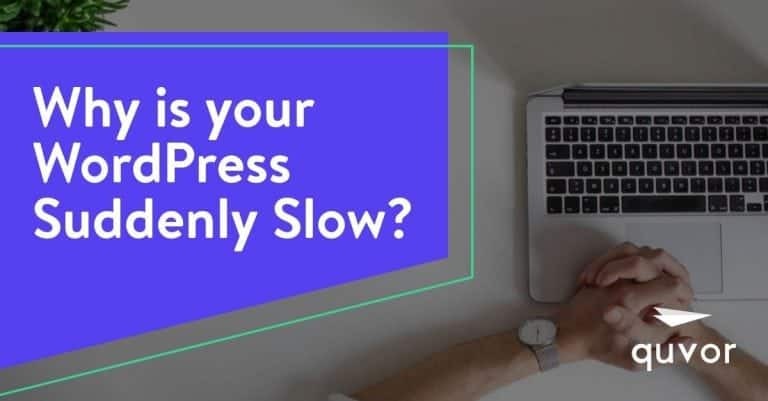 While this may be a quick way to improve WordPress speed, it’s just not enough to create a stable, blazing fast website that leaves a powerful, lasting impression on its visitors. At Quvor, we do things differently. Our approach involves a rigorous analysis of your WordPress site, using the latest technologies to identify bottlenecks and ease down the burden on resources. The result? A website that exceeds visitors’ expectations and absorbs unanticipated peaks in traffic more efficiently. Plus, we won’t force you into buying tools that do not correlate with your site’s infrastructure, rope you into upgrades you do not require, or trick you into a sales funnel set up to manipulate you into paying 5x more than the default price of our WordPress speed optimization service. What Is Site Speed in The Eyes of Google? There is an abundance of misinformation out there concerning what Google cares about when it comes to site speed, so much that it’s impossible for the average site owner to find a way forward. Quvor wants to put an end to all the confusion. As far as we know, it’s not the PageSpeed Insights score or grade that matters to Google. What the search giant cares about (psst… it’s the same thing your website’s visitors want) is optimal user experience. In laymen’s terms, end users’ perception of website speed is the by far the most crucial performance KPI. That is mostly why the search company is so vocal about optimizing ‘above-the-fold text’ and why it highly appreciates sites that have adopted Progressive Rendering (the name of the method/tactic used to render all types of content for display as fast as possible) to the maximum. The other things Google cares about is the time it takes on average for the visible areas of your webpage to display relative to the time it takes on average for the visible areas of your competitor’s webpage to display. That’s what matters, not the artificial speed metrics generated by those third-party tools. What Metrics Do We Focus On? Start Render Time: The Start Render Time refers to the time taken by the first content to render on the webpage, regardless of its whole size or preference for the visitor. It tells the visitor that the page is loading, things are in progress, and the rest of the page elements should display soon. TTFB (Time to First Byte): This metric analyzes the duration from the visitors’ browser initiating the ‘HTTP request’ to the first byte transmitted back by the server. The browser will then display the page to the user as soon as it receives the content. In other words, TTFB is used to judge the responsiveness of the resources and web servers involved in building up your site’s content to display on users’ screen. First Paint Time: First Paint Time highlights the time it takes for the browser to render anything that is unique from what’s displayed on the screen before navigation. By labelling it as ‘first paint time’ the expression says that building up something on the user’s screen is fine, but there’s more to come. Time to Above-the-Fold Visual Completion: This metric measures web speed performance by analyzing the time it takes for a video/graphic/text to appear in the area of a webpage that’s immediately visible to the user when they open it. It does that by using heuristics in a filmstrip or video view of a loading webpage, focusing on what the visitor sees and simultaneously delivering consistent outcomes across different browsers and platforms. Time to Interactivity(TTI): Time to Interactivity is a user-centric performance metric that reveals the time it takes for a webpage to turn interactive, which is the point where most of the visible elements have event handlers registered, some useful content has appeared on the page, and the page responds to the user’s requests within 50-60 seconds as they interact with it – the experience of the user does not sink. Google’s Speed Index: Speed Index is the most important metric of all. It measures the time it takes for the user to start seeing the content on a webpage. Its algorithm is coded to leverage a ‘histogram’ from the site’s video frame as it begins to load. Speed Index is typically calculated by multiplying the Interval time with the following equation: 1 – visual completion/100. 500 milliseconds is the time that accounts for the intervals, and visual completeness refers to the quantity of ‘above-the-fold’ content that has appeared on the page. In layman’s language, Speed Index calculates how long it takes for little browser wheel to stop spinning. These performance metrics are the foundation of Perceived Performance, and all of them lead to improved user experience (UX) and better performance in SERPs (search engine result pages), whereas the plugins that impact the Load Time do not. Quvor optimizes the issues which affect the website speed user-centric metrics to the maximum extent possible to bring the best out of your site. With our WordPress speed optimization service, you’ll turn your website into a lean and mean web property that responds to users’ requests at a lightning pace. Why Actual Performance Still Matters? Your site’s perceived performance is just as crucial as actual performance, but that’s no reason to neglect actual performance and compromise your website’s load time. In fact, your visitors may grow tired of waiting for your site if its perceived Time to Interactivity or TTI (the point at which the main webpage has loaded enough to accommodate visitor input) is different from actual TTI. A plain example is when you go to Google’s home page. The time from which you clicked on a link till the time you’re able to click on the main search input and start typing is TTI. Even if there are a plethora of things running in the background (like loading of profile image, notifications etc. ), the thing that matters most to the visitor is the ability to use the search field for an input. One could say that the scenario above is perceived performance as the user “measures” the site’s performance through it, however, it’s essentially the actual performance (it’s hard to trick users in TTI). Websites need to accommodate inputs as fast as possible and load quickly if they want to leave a good impression on its users. Quvor is the only WordPress speed optimization service that works to optimize both user-centric performance metrics (perceived performance) and the actual load time (actual performance). Visual compression: Compression reduces the size of your visuals without modifying their original contents. It can be applied to almost any web resource, including JS, CSS, HTML, and images (.JPG, .PNG, etc.) to be specific. Most of today’s web browsers recognize a variety of compression algorithms. HTTP Keep-Alive: When a visitor’s browser sends an HTTP request to a web server, the browser seeks the server’s permission to download the file. And it does that for every individual file, consuming a lot of memory and bandwidth. Quvor makes your WordPress site faster by using HTTP Keep-Alive, which establishes a central open connection for supporting multiple file requests on your server. Plugin Audit: Every WordPress plugin you add takes up a lot of resources to function. More resources equal slower load times. We save clients from the headache of identifying what plugins are slowing down their site by selectively removing/disabling them and then reassessing actual performance. As a best practice, site owners should consider eliminating plugins that add multiple database queries or initiate several remote requests. Hotlink deactivation: Sites that don’t deactivate hot linking basically allow others to make use of the content that’s hosted on its server on their own sites. By enabling them to leverage its servers and its content, it attracts large quantities of server load for no beneficial reason. This is why we disable hotlinking on our clients’ websites, preventing others from stealing their resources. Don’t make the common mistake by focusing just on perceived performance. Think on a more holistic level than metrics alone. Consider the Actual Performance of a site, as well. 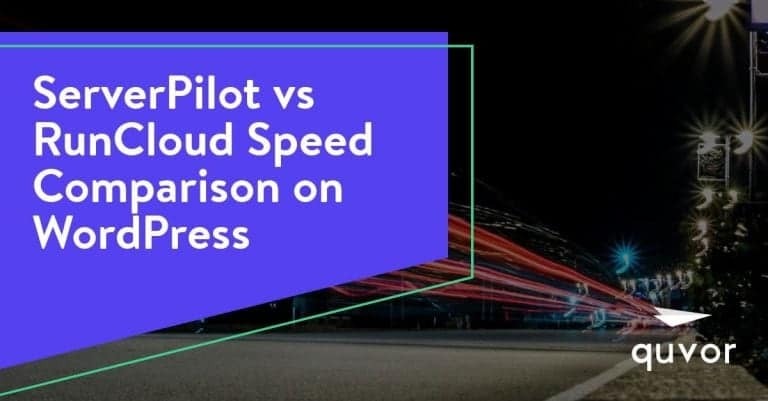 How do we optimize WordPress for speed? many other tried & tested "secrets"